107. View the Exhibit and examine the structure and data in the INVOICE table. 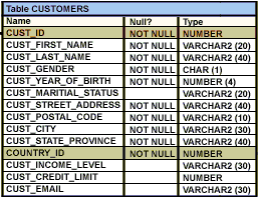 C. COUNT(cust_id) returns the number of rows including rows with duplicate customer IDs and NULL value in the CUST_ID column. Using the CUSTOMERS table, you need to generate a report that shows the average credit limit for customers in WASHINGTON and NEW YORK. Which statement would display the highest credit limit available in each income level in each city in the CUSTOMERS table? The following query is written to retrieve all those product ID s from the SALES table that have more than 55000 sold and have been ordered more than 10 times. D. Display the total number of products supplied by supplier 102 and have product status as 'obsolete'. E. Display all products whose minimum list price is more than the average list price of products and have the status 'orderable'. 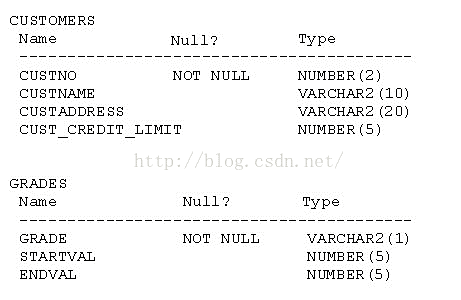 C. The statement produces an error because a subquery in the FROM clause and outer-joins cannot be used together. D. The statement produces an error because the GROUP BY clause cannot be used in a subquery in the FROM clause. the last promo in the 'INTERNET' category. FROM promotions;Which statement is true regarding the outcome of the above query? list price is less than half the maximum in each category. You need to display all promo categories that do not have 'discount' in their subcategory. 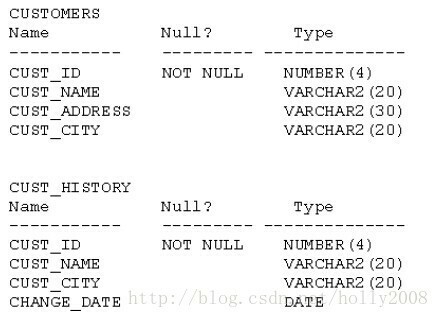 CUST_HISTORY table stores historical details relating to any changes in the location of all current as well as previous customers who are no longer active with the company. A. By default, the output is not sorted. 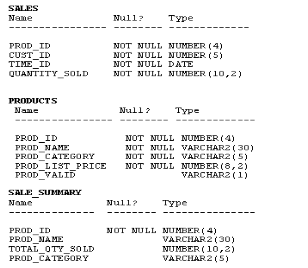 B. NULL values are not ignored during duplicate checking. 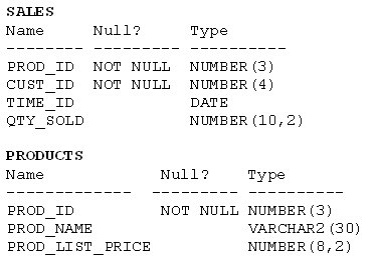 C. Names of all columns must be identical across all SELECT statements. 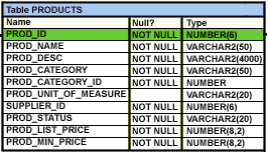 D. The number of columns selected in all SELECT statements need not be the same. B. It produces an error because positional notation cannot be used in the ORDER BY clause with SET operators. 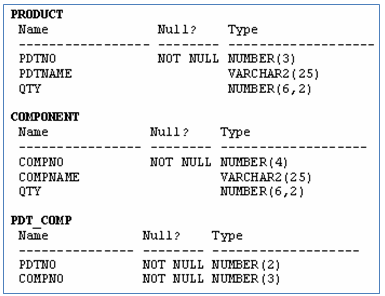 C. It executes successfully but ignores the ORDER BY clause because it is not located at the end of the compound statement. 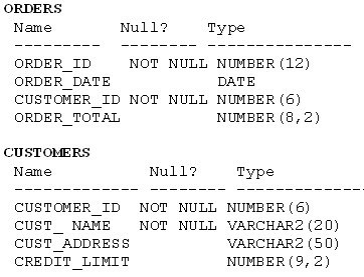 SQL> SELECT cust_id, cust_last_name "Last Name"
E. ORDER BY "Last Name"
E. After it is enforced by a SELECT statement, no other query can access the same rows until a COMMIT or ROLLBACK is issued. 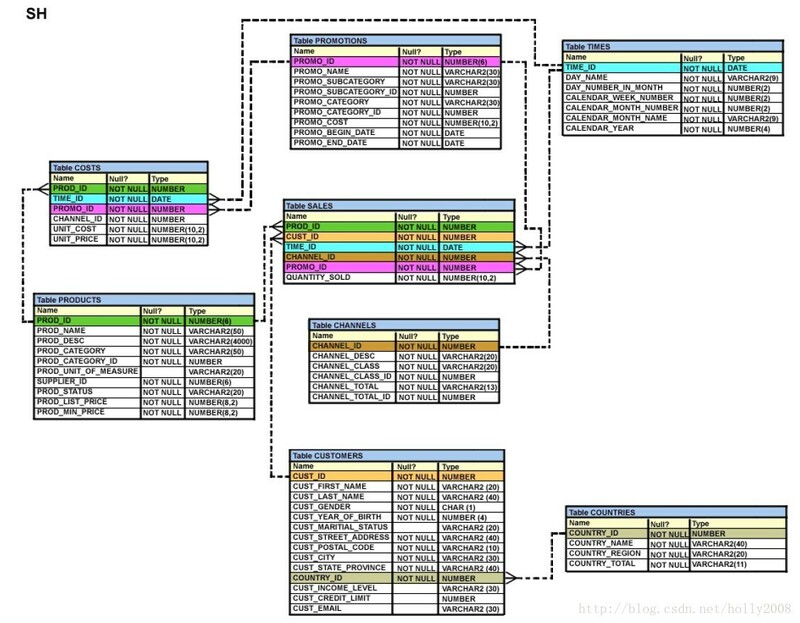 the same data types and size as the corresponding columns in the CUSTOMERS table. CUST_LAST_NAME is Roberts and CREDIT_LIMIT is 600? CUST_INCOME_LEVEL has NULL in the CUSTOMERS table. Which SQL statement will accomplish the task? 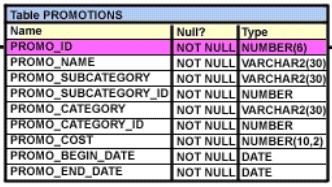 D. It generates an error because multiple columns (SALARY, COMMISION) cannot be specified together in an UPDATE statement. table has either blowout sale or everyday low price as values. GMT+8, 2019-4-19 00:34 , Processed in 0.089006 second(s), 22 queries .